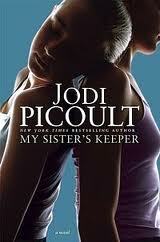 My Sister's Keeper Research Papers discuss a book written by Margaret Moorman about her life in dealing with her mentally ill sister later on in life. “My Sister’s Keeper: Learning to Cope with a Sibling’s Mental Illness” written by Margaret Moorman is the story of the author’s life, growing up and confronting life with a sister raised with mental illness. In her book Margaret Moorman shares her experiences as she attempts to come to terms with a sister she eventually resumes care for. Her poignant portrayal of dealing with the circumstances that arise when one is faced with the overwhelming responsibility of a mentally ill family member speaks volumes for the entire psychiatric community. She is able to touch on matters and feelings that cannot be reached by clinical reports of mentally ill patients. The first time Margaret’s sister Sally was hospitalized, in 1959, Margaret was only ten years old. Her diagnosis at that time was ‘chronic schizophrenic reaction, undifferentiated type’. Sally was eighteen years old at the time and it would just be the first of many hospital stays for this woman suffering from this debilitating mental illness. Margaret’s youth was unconventional. She struggled to maintain a normal childhood during the periods that her sister was hospitalized, however, her parent’s insistence that they hide Sally’s illness from friends and neighbors only made Margaret’s denial of her sister’s illness stronger. Even as an adult woman, this denial flowed through in conversations with colleagues when, without hesitation, she alluded to the feelings of an only child . It was those feelings of confusion and misery that would add burden to the fact that care for Sally would fall on her. In Margaret’s mind, this reality could only mean the cessation of her own existence. When Margaret and Sally’s mother dies, the truth of Margaret’s strengths and weaknesses would be revealed. She has no choice but to take over the task of caring for Sally and tries to do so from her own sense of existence in New York. It becomes Margaret’s duty to make sure Sally has a place to live, has proper medical care, stays on her medications, and maintains contact with her social workers and medical providers. Through all of this, Margaret tries to sustain a separate life and career of her own. In the book, her fear of becoming mentally ill her self is revealed and the anguish that this has caused her over the years. Margaret’s decision to write this story is almost cathartic, more for herself, then for the truths it may reveal to others dealing with the same situation. Paper Masters writes custom research papers on My Sister's Keeper and discuss a book written by Margaret Moorman about her life in dealing with her mentally ill sister later on in life.